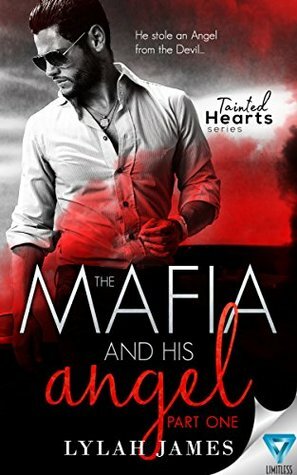 The book The Mafia and His Angel isn’t as cheesy as it sounds. You know the quote, don’t judge a book by it’s cover. Well that quote is perfect for this book. Stop reading this blog for a second and think to yourself what you initially thought about this book, seriously do it. Good, now discard all of those thoughts and clear your mind. To be honest, I’m not and probably never will be interested in romance books, or movies. Sure there are a few, like The Notebook, Titanic, and Dirty Dancing (my favorite). If you are looking for a nice, cuddly book to sit down and read while sipping on a latte to, do not read this book. The author, Lylah James, did not spare anyones feelings when she was writing this book. Some of things in this book are extremely messed up. Like the language they use, when they are fighting, and there is also some torture mixed in there as well. The men and woman in this story are brutal and cruel, as well as their actions. The thing I hate the most about this book is the language they use. I understand swearing because almost everyone does it, including me. It is just the way they use the words, some of the words they use are very affencive against woman. The men in this book are constantly disrespecting and putting woman down. One of the things I like about this book is that there are real life situations and Lylah kept the gore and gruesome details to a minimum. This is a mafia book, so obviously there is going to be some torture and killing involved. I like that the author creates a really strong image in my head by using really descriptive words. Alessio, the leader of the mafia. He is not my least favorite character but he is one of them because he is always so aggressive and irritable. Alessio is one of those people who get handed everything, the only reason he is in charge is because of his father.One of the worst things when I’m reading a book is when a man or woman are mistreating other. Don’t get me wrong, I like villains as much as any other person but I don’t like when characters verbal abuse each other. All throughout the story Alessio is very hypocritical and he goes back on his word a lot. Ayla is one of my favorite characters because she has been through a lot but is still strong, stronger than most of the characters. She has such big heart, the thing I like about her the most would have to be that she doesn’t let the men or woman surrounding her push her around. My overall favorite character would have to be Victor, one of the strongest men in the mafia. The main purpose of his character is to make the reader laugh in and after very tense scenes. Alberto is a character that almost everyone hates. Him and Ayla were in a arrange marriage set up by her father, and Alberto was very abusive. Alberto is the antagonist. He is my least favorite character because he is constantly wronging people, even his friends. Throughout the whole story he kept dening what he did in the past and said he wasn’t sorry for any of the things he did. It wasn’t until the very end that he admitted what he did to Ayla, but even then he wasn’t sorry. Ayla’s father is definitely the second worst character in the book. He watched Alberto beat and threatened is daughter on a daily basis, and didn’t say a word. Eventually they both die in the end, yay.